Season first then fire up the grill! | J.O. Spice Company Inc.
April means “to open” so it’s only fitting that while the trees are blooming, the tulips are smiling and the cherry blossoms are springing alive, steaks, burgers, chicken, fish and vegetables are waiting to be seasoned! The best rule of the grill? 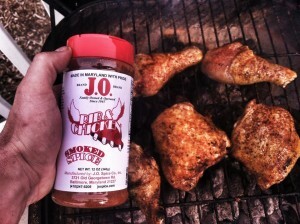 Season first then fire up the grill, giving the meat ample time to soak in the flavor of your seasoning choice. 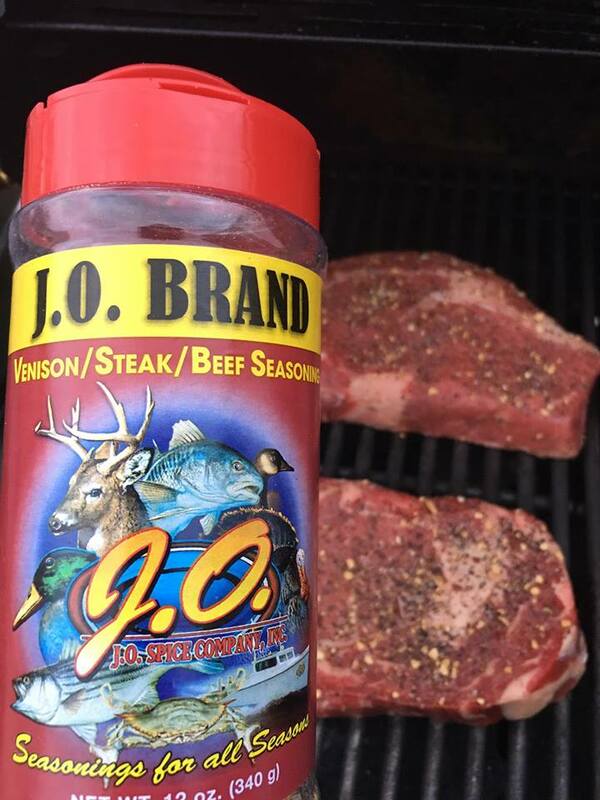 J.O.’s Venison Steak Seasoning is not just for steak! And don’t be afraid of the “venison” part as it was initially developed as part of the Wild Game Line but has since evolved into one of the most popular ways to season steaks, burgers, and potatoes on the grill! J.O.’s Rib and Chicken is great when you are making skewers, kabobs, etc!, -sprinkling a little on the onions, peppers, pineapple just adds a magical touch to your meal. For the perfect marinade, first sprinkle liberally all over the meat of choice, let sit for about 15 minutes, then add an oil-based marinade. 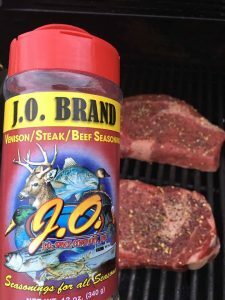 A customer review says to use the “Gazebo” brand dressing (the Greek is my favorite) and that she’s used it on ribs with the J.O. Rib and Chicken. Season first, then fire up the grill. Cooking Tip: when you are cooking ribs, it’s best to go slow, as they become tender and delish, not burnt to a crispy crisp! Want an excellent side accompaniment to seasoned-just-right-protein? Vegetables grilled to perfection! Asparagus, zucchini cut in halves, red or sweet onions and of course potatoes are Soooooo good on the grill. Most veggies are best grilled with a liquid marinade and on a hot, hot, hot fire, only need a few, like 1-2 minutes to get just right (unless you like them char-grilled, up to you!) but potatoes usually do take longer – just prick with a fork to test for doneness. The best, easiest seasoning? J.O. 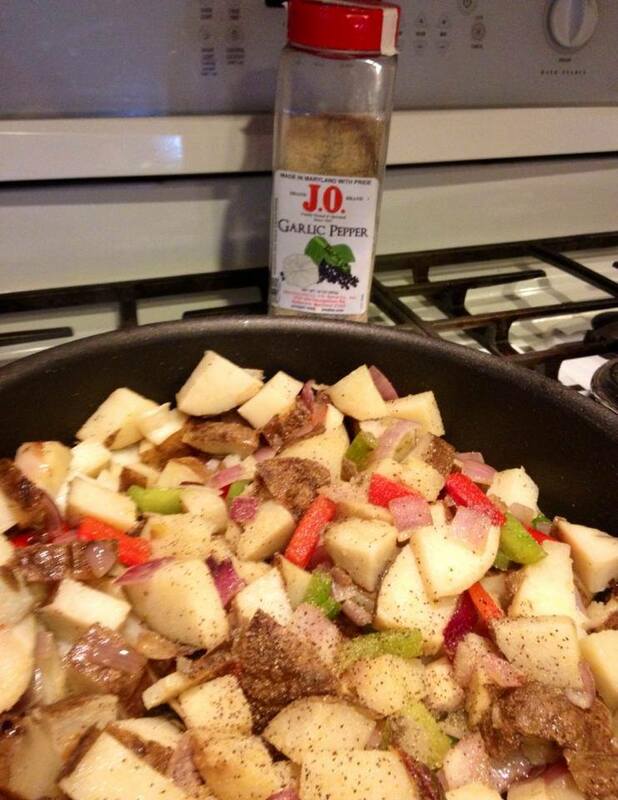 Garlic Pepper, and a sprinkle of lime or lemon juice to enhance the garlic….Yum!Yum!Yum! What are you cooking on the grill tonight? I’m hungry, how about you? 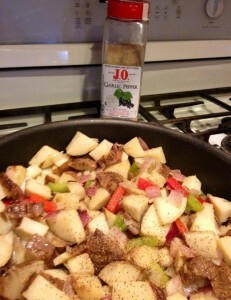 This entry was posted in Awesome Recipe Ideas!, Product Highlight. Bookmark the permalink. ← J.O. has the best gifts!